Learn the most popular Tai Chi long form in the world from Master Yang. 120 minutes of video for $9.99 USD purchase. 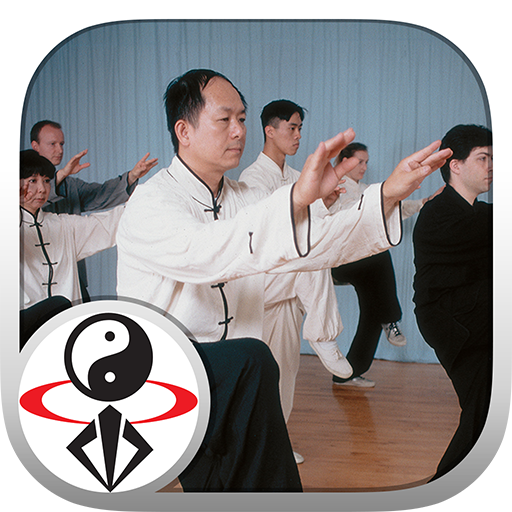 Learn the 108 Yang Tai Chi classical form with these streaming video lessons from Master Yang. You'll also learn qigong, warm up exercises, and more. Two hours of video instruction. Tai Chi Chuan is a slow and relaxed moving meditation. It is also a sophisticated martial arts system. Through practicing Tai Chi you are able to calm down the mind, locate your spiritual center, and consequently find your entire being. From the relaxed moving exercise, you can bring your physical body into an ultimate level of relaxation and natural ease, resulting in smooth Qi (inner energy) and blood circulation. This is a key to maintaining health and recovering from sickness. Tai Chi Chuan is an ancient internal Chinese martial art which has gained widespread popularity for its many health benefits. Today, most people practice Tai Chi slowly to develop their balance, strength, and vitality, and the martial applications of the art are often ignored. Also spelled Taijiquan, 'Grand Ultimate Fist' is a highly effective form of combat specializing in short and middle-range fighting. "Taiji Chang Quan" existed in many variations, and eventually evolved into Taijiquan. Other forms of the same era such as "Heavenly-Inborn Style", "Nine Small Heavens", and "Acquired Kung Fu" also show similarities to what later became Taijiquan. The principles of softness, sticking, adhering, and using the opponent's own momentum against himself were established in these precursory martial styles. Bodhidharma's teaching at the Buddhist Shaolin Temple around 550AD, which detailed the theory of using the mind to lead the Qi to energize the physical body, is widely considered the origin of all Internal Martial Arts, including Tai Chi. Dr. Yang's tai chi can be traced back to the Yang family through Grandmaster Kao, Tao and his teacher Yue, Huanzhi, an indoor disciple of Yang, Chengfu.